How cute is Mason's teacher???? We ADORE Mrs. Hamilton! 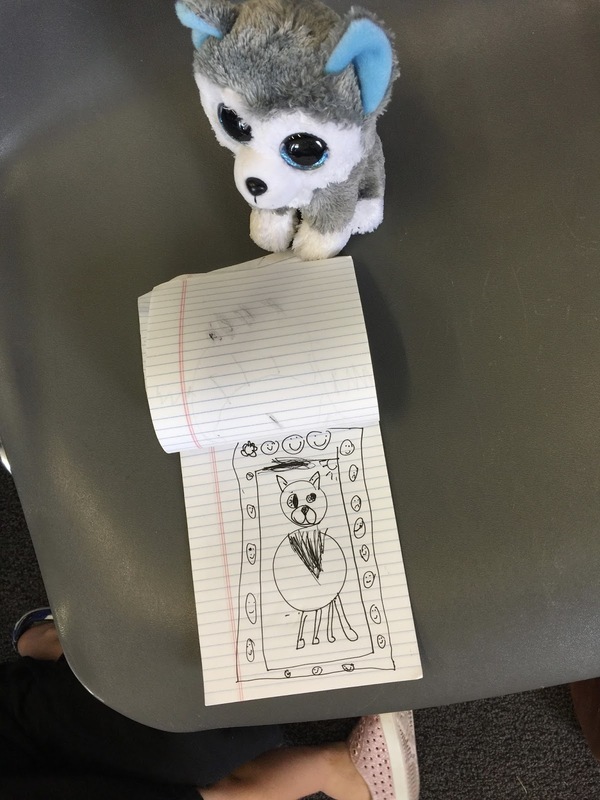 Saturday morning Mason came with us to dance class and he passed the time watching his sister and drawing a portrait of his newest beanie boo :) That picture frame kills me! It was recital costume day and G wasn't QUITE sure about hers :) Fingers crossed she warms up to it before pictures next week and the recital the week after that. ... while these two were having their own moment with beanie boos. Are my kids the only ones still soooooo into beanie boos?!?! They can't get enough! Sunday evening we headed to one of our favorite spots to celebrate one of our favorite people's birthday! We love us some Josh Willis! Happy Monday, friends!!! Hope y'all had a great weekend and that your week is off to a great start! Tomorrow is Show and Tell Tuesday "Memory Lane" where we're going to be taking little trips down memory lane sharing our favorite things (toys, shows, memories, music, etc.) from childhood and/or years past. I'd love for you to join in! Mason as a lion is like the BEST thing EVER!!!!! Great weekend! I feel like G this morning. I think I might need to prop myself up. What a fun weekend! 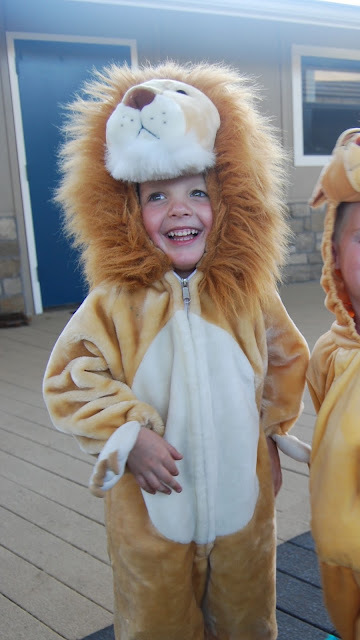 Mason looked adorable as a lion and how fun for him to get away one on one with your parents! Mason in that Lion costume is so incredibly precious!! Love it!! My kids are 7 and 9 and they love beanie boos. My oldest son who is grade 4, still brings them to school to play with afterschool with his friends. While on vacation one of the friends bought the other ones the littlest beanie boos! It's still an obsession!!! Mason is an adorable lion and those pictures of G in the flowers is just too precious! What a fun weekend! My 9 year old is into Harry Potter and I am thinking I might get her the books for summer break. Also, what a fun weekend for Mason. Happy Monday! Your daughter's hair looks beautiful...even in bedhead form!! So jelly over here! Love the lion costume!